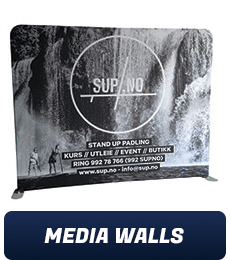 Check out our trade show booths and a huge range of event displays that consist of feather banners, signage, and event tents. 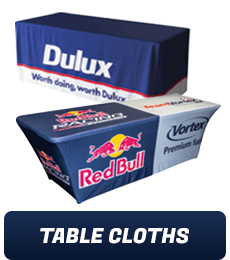 Get ready to make a great first impression at any event! First impressions matter a lot and they are crucial whether you are going to participate in a convention or going to host a private event such as a party or a corporate mixer. 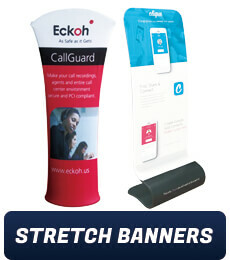 Use our display solutions and leave just the type of impression that is going to get you more clients. 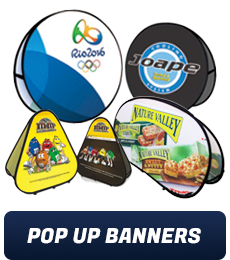 With rapid delivery time, affordable yet premium quality products, and best-in-class graphic design service, there is no doubt that we are Canada's #1 event display provider. Why We Are the Best in Event & Expo Display Business? While planning for the next event, be sure to ask yourself following questions. Do you wish to procure the best looking and finest quality graphics? 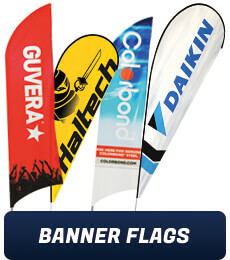 Do you wish to save money while ordering products for the promotional work for the event? Do you put a lot of value on working towards creating an excellent first impression with display work during the expo, event, or a trade show? Do you want something that complies with the highest industry standards? Are you looking for a manufacturer that can promise reliable and one-time delivery? If you found yourself answering ‘yes’ to any of these questions, then you are in for a treat. Because we promise to do all that and much more. If you can find a competitor who is selling the same merchandise at a lower price than us, we will provide you that item at a price lower than that. This is all part of our Price Beat Guarantee. All you have to do is share a written quote from our competitor event or expo displays company with us and we’ll take care of the rest. At no point during the manufacturing or delivery process do we compromise on the quality aspect. Every closely take care of every single order that we receive. If you can conceptualize a design, we can create it for you. 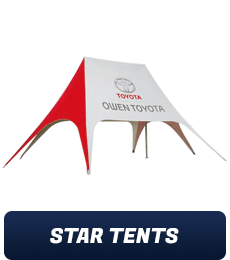 In addition to providing customized banners, marquees, signage, display stands, and floor stickers we also specialize in custom sourcing and production service. So, if you anything comes up, just let us know. We will make sure to offer you the exact product that you have in mind. You have the option to choose from our readymade designs or talk things out with our design team to build something customized from scratch; something that will spell uniqueness at your next event. If you are feeling doubtful about what type of design will work best for the design, you can share all your doubts and questions with us and we will help you come-up with something unique and interesting. 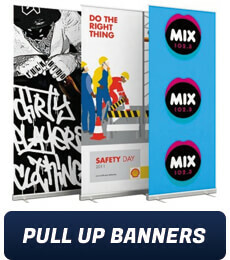 We will make sure to arrange/organize all your feather and printed banners as well as flags and signage to make sure it looks nicely presented and leaves a good impression on your customers. Our design consultation services are free. In fact, we take pride in helping our clients in every way possible to make sure they get the exact product that they are looking for. We Are Owned & Operated in Cambridge, Ontario. 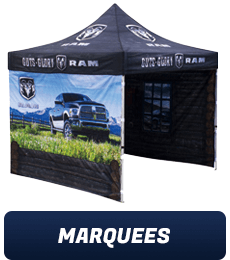 All our event display products are owned and operated by Canadian industry experts with years of experience in their hands. 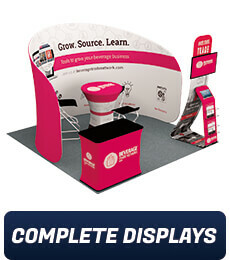 We take pride in being the leader in expo display industry and the fact that we serve the entire nation. 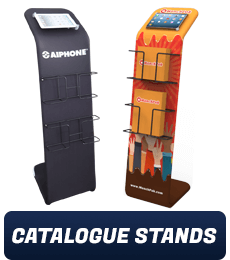 Our expo and event display products are available for supply across all major cities.